JTB Sheet Set Creator 2.4 got some improvements and fixes. 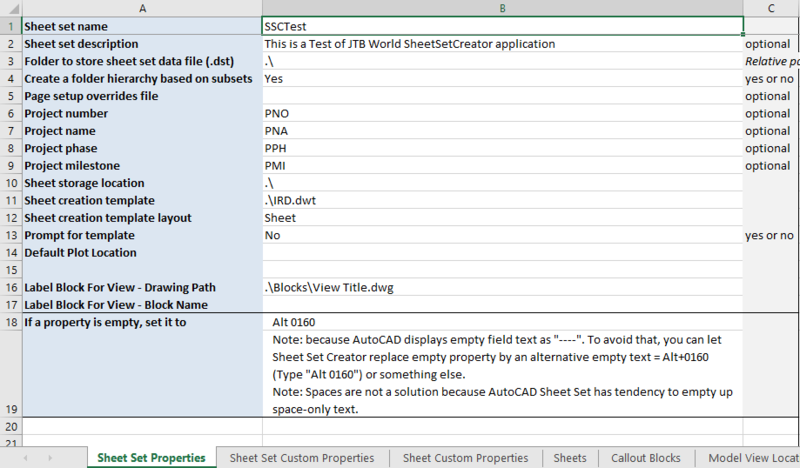 JTB Sheet Set Creator is an app for AutoCAD that creates new Sheet Sets and Sheets based on an Excel template. If you are using Sheet Sets you can make batch edits of properties with SSMPropEditor or make merge, purge and convert with JTB DST Tool, DST Converter, or publish with JTB Sheet Set Publish.